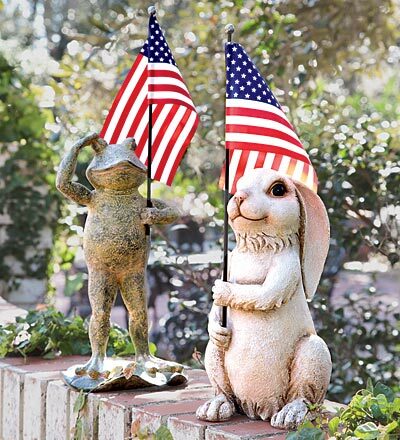 Either of these cute Polystone Animals with American Flag will add a great patriotic touch to your yard this Fourth of July! These sweet creatures are proudly holding an embroidered American flag in their paws, or flippers. Choose between a rabbit or a frog to help you show off your patriotic spirit, or your own spirit of independence. Made of weather-proof polystone for years of use. A great and different way to dress up your home or garden with a patriotic flair. For more information or to order, click here. Knock! Knock! Knock! Who Is It? Land Shark! Coloring Rats Can Be Fun!